A handmade birthday board complete with 25 discs + 2 hearts to hang marking important dates for you. 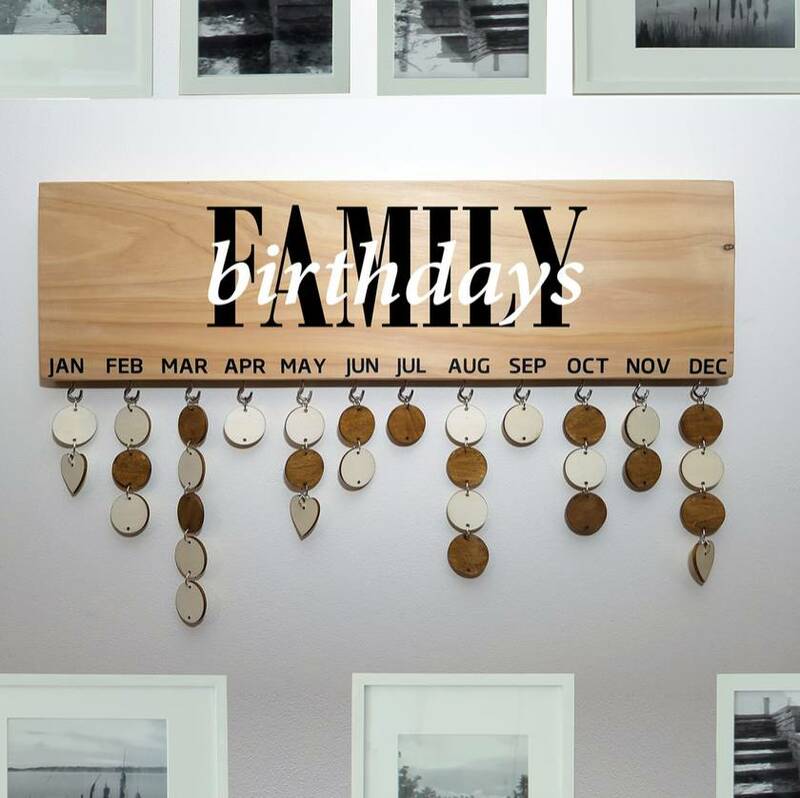 Never forget a birthday again or give it as a present to a family member/friend. 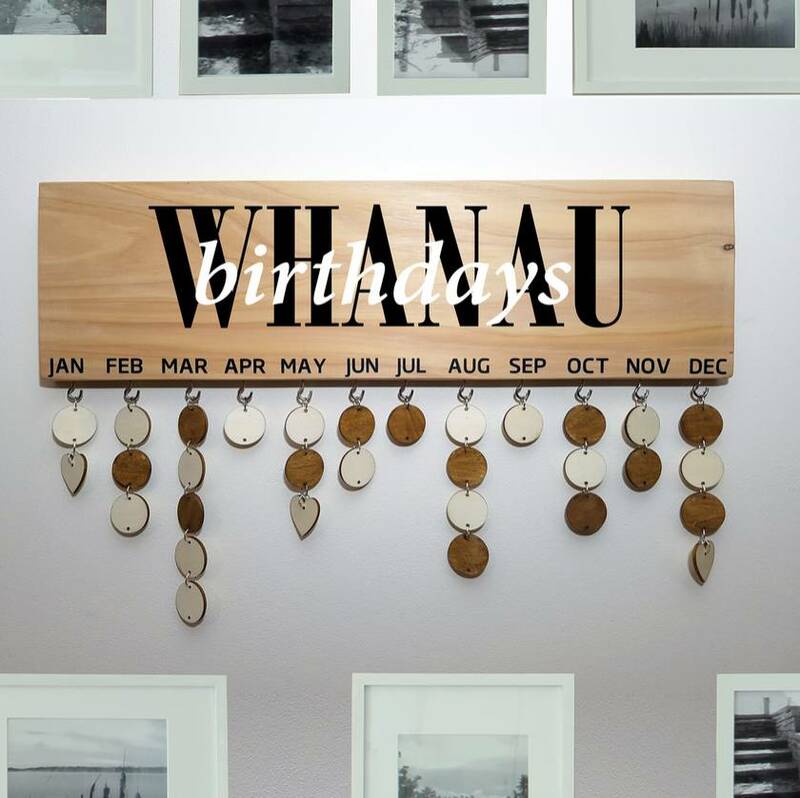 Made from Macrocarpa this board can be wall mounted and comes with a saw-tooth hanger attached.